I do not usually review two devices of the same brand in a short period, especially if their functions are similar. 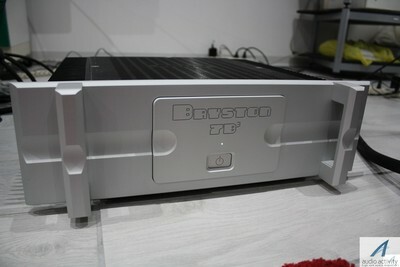 This time I will make an exception and I'll talk about the Bryston 7B³s mono power amplifiers, after having reviewed their counterparts 28B³s a few months ago. 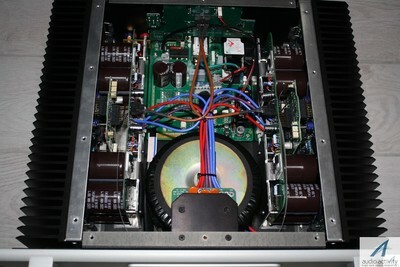 There are two reasons for this choice: our readers asked us to do so to be informed about the sound performance of electronics that can be easily recommended for an home use when the 28s seem excessive; the second reason is that, after having closed the previous review announcing that I had ordered the 7B³ for my reference system, it seemed fair to give the story an happy ending (one thing is ordering them, other thing is to listen to them in my system). 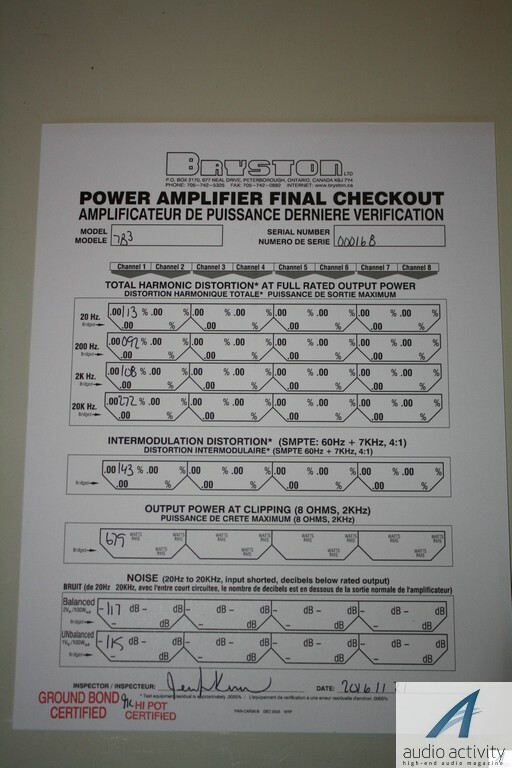 Before speaking specifically of my new power amps, I will talk briefly about something that I have noticed, especially since Audio-activity.com has begun to talk about Bryston. It’s funny how even in the high fidelity market biases exist and some equipment are loved by audiophiles for a thousand different reasons, while other brands are somehow neglected; for this reason we have cases of undeserved reputation or unjustified depreciation. 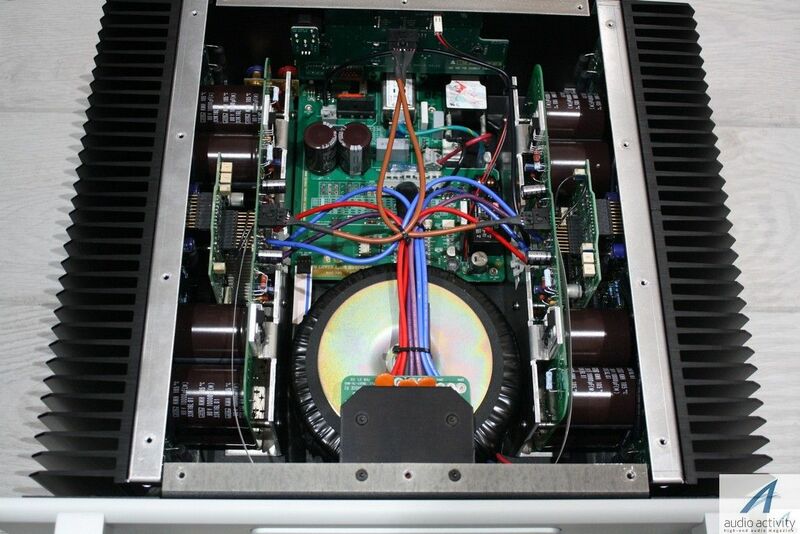 For example, when I recommended the new Bryston amplifiers to an audiophile searching for a powerful amplifier for his high-level system, one of my colleagues, the Director of an Italian audio magazine replied: "are you kidding?" Well, when I am dealing with the money of my readers, I am always very serious. 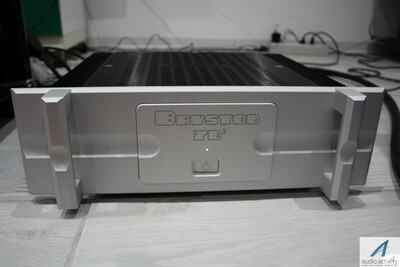 I'd rather say that it seems to me that those who underestimate some products without knowing them are joking (and my colleague didn’t know the new Series of Bryston, just because we are the only Italian magazine that reviewed it), and, what is worst, they keep recommending - over and over again - the same thirty-year-old Class A amplifiers with worn out capacitors and so on. Always the same brands! There is not much to do, in the common (and erroneous) sense, the Bryston sound is not "refined". What can I say? When I hear "refined" referred to the sound, I suddenly feel itchy. An online dictionary explains the meaning of the word “refined” in this way: "freed or free from coarseness, vulgarity, etc., freed from impurities". Now, would anyone be kind enough to explain to me how this can be related with an amplifier of audio signals? A sound can not be vulgar, or impure. A sound is a sound, a brick is a brick. Have you ever seen a refined brick? Music can be refined, a person can be refined. 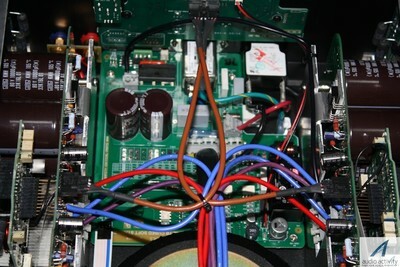 Electronics can have an aesthetically refined line (personal taste, among other things, and very rarely unique). Refined sounds don’t exist, you can not give an aesthetic judgment of a sound, you can play the drums in a refined way, but the sound of a percussion is not refined, it is a sound (or a noise, if you prefer)... period. But if by "refined" we want to say with a fine grain, then it’s clearer. In this case, let me tell you something: the grain is unknown in these new Brystons, the sound has a polished clarity in the mid and high range that many competitors can only envy. 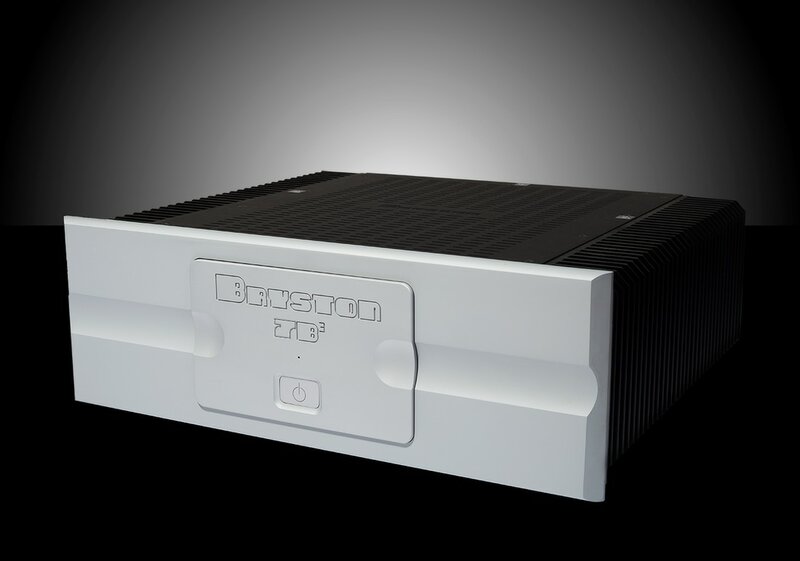 Anyway, what I claim to do, is to disclose a fact: this new Bryston Series not only sounds like the previous Series was unable to do, but you can hardly even imagine to ask more to an amplifier. Unless you expect color, signal aberrations, distortion. For these characteristics, sometimes unconsciously sought by the "refined audiophiles", you can look elsewhere. It is easy to find them sometimes in those huge devices priced 50,000 Euros or more, that remind the waste of resources of the Egyptian pyramids (which are stunning, but you will agree with me, a bit redundant for the custody of a small mummified body, although accompanied by his earthly possessions!). As for this I have noticed that Bryston has the ability to design its music machines with the wisdom of someone who knows how to get to a certain result without unnecessary (and often expensive) redundancies. Straight to the point, without deviating through an heavy and bulky chassis, transformers for power grids or other unnecessary frills. On the other hand, Bryston states for the 7B³ 600 watts RMS into 8 Ohms and from the measurements of each amplifier that you will find in the box, we deduced 679, while the total harmonic distortion is measured at maximum power at all frequencies, as shown by the picture of one of the two mono final sheet. At this point I usually list the components of my reference system and I describe the listenings done with the component that I am reviewing. This time it will not be necessary to do so, for a simple reason: if you read, or re-read, the listening impressions of 28B³ you will find the same things that I could write now, listening to these 7B³. Differences? Not in the timbre, even if I have not compared them directly, I would say that they are almost perfectly superimposed. Perhaps here we have a tad bit less of dynamic strength, but it could be just an impression due to the incredible and unlimited dynamics supply of the 28B, which the 96 dBs of my speakers do not apparently need, but in the reality you can hear it someway. 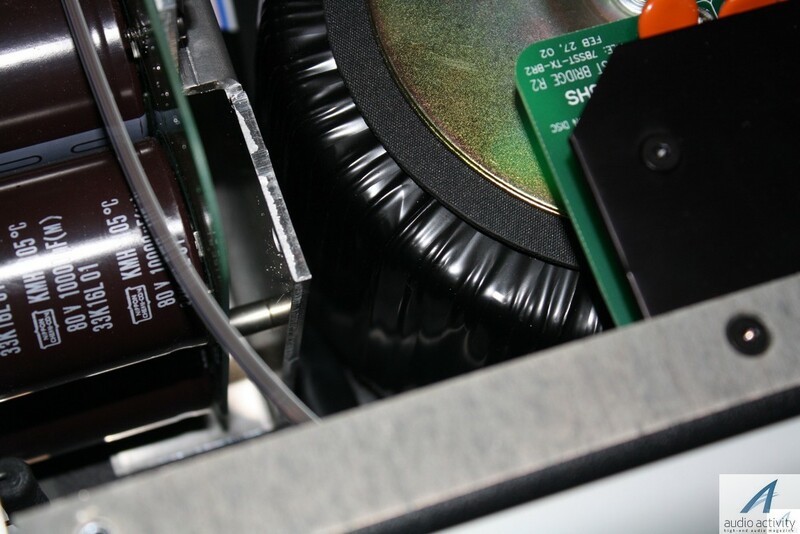 These 7B³s work at lower temperatures than the 28s; you could not even touch the 28s three hours after turning them on, with or without signal applied. The 7s, even when asking them loud music, they heat up just a bit. 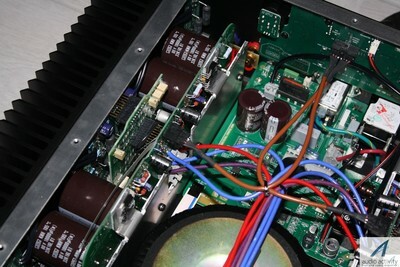 I do not know whether this is due to a different polarization of the transistors or simply because the heatsinks of the 7B³ are larger in proportion to the output power of the amplifier. These amplifiers, like their elder siblings, have a circuit which ensures slow capacitors charging, and which emits a curious noise for a couple of seconds, while it is running. Once the amplifiers are turned on remains, above all, the incredible silence, both in the absence of signal and during the sound emission. The silence of the champions, of the outstanding figures. The silence that improves the intelligibility of the most distant instruments from the microphones, during the full orchestra performance or of small percussion in more complex arrangements, or of the "breath" of the orchestra and of that life that you should perceive in each recording. There is little to add to what I have already written in my previous review; but hey! Bryston people know what sound is and how to amplify it without damaging its purity, without seeking special effects that at first catch the ear, but in the long run turn into thorns in the side of the unlucky buyers. The 7B³s made my JBL 4350Bs sound great but also the Tannoy GRF 90s, that recently arrived in my listening room for a review, and that sounded great, too. I remind once again to our readers that if the Bryston amplifiers are regularly purchased from the distributors in the country where you live, are accompanied by a 20 year guarantee which keeps you away from any unpleasant surprise. 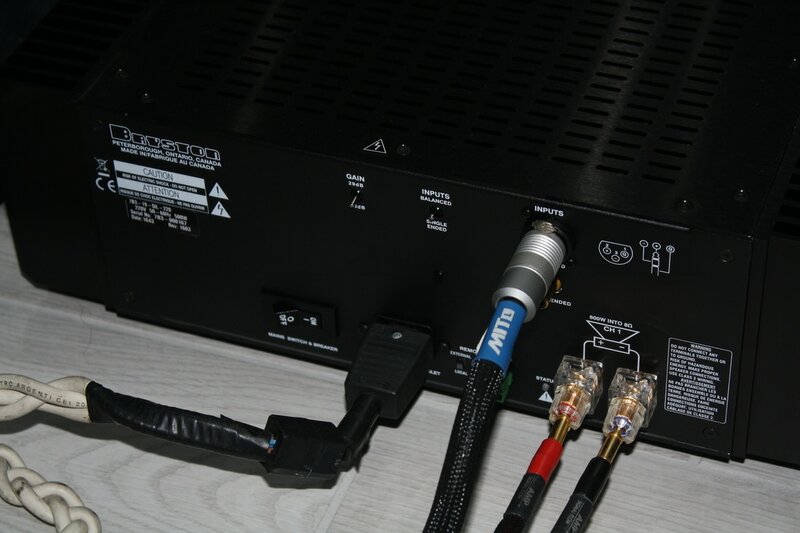 If you're looking for fairly universal amplifiers that can drive even the most difficult speakers strongly but also with extreme sensitivity when prompted by the music, do not miss the opportunity of listening to these machines; do not be deceived by the relatively affordable cost. They are worth much more than required, when compared to the competition. After a month of continuous use, I am increasingly satisfied of having them included in my reference system. This 2017 began auspiciously and let's keep on dancing in this new year full of great music, live and ... almost live.